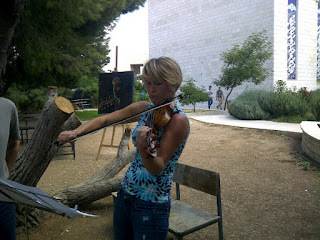 On September 10th Al Quds University presented the 4th Monday Art Garden on the campus of Abu Dies. 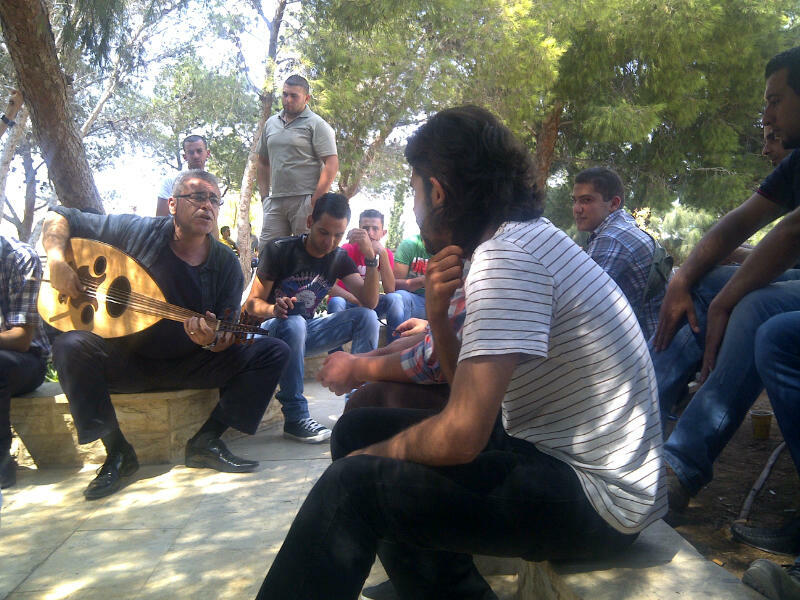 The Al Quds University Monday Art Garden is a creative event for students, staff members and visitors inviting them to engage together in a monthly activity that opens space for fresh inspirations and artistic encounters. Dr. Omar Yousef on the oud. Traditional as well as contemporary pieces and improvisations were played between paintings of the students of the Fine Arts Department of Al Quds University. 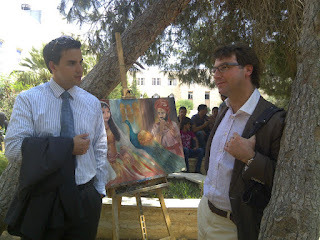 Al Quds University was honoured to welcome Mr. Csaba Rada from the Hungarian Representative Office in Ramallah. Be our guest at the next Monday Art Garden on October 8th together with students and professors of our music department as well as international participants of the international Al Quds University October Academy!